After years of working in neighborhoods, PHLF started working to restore buildings, recruit storefront businesses, and create upper floor housing along East Carson Street on Pittsburgh’s South Side. That marked the beginning of PHLF’s work in Main Street corridors. 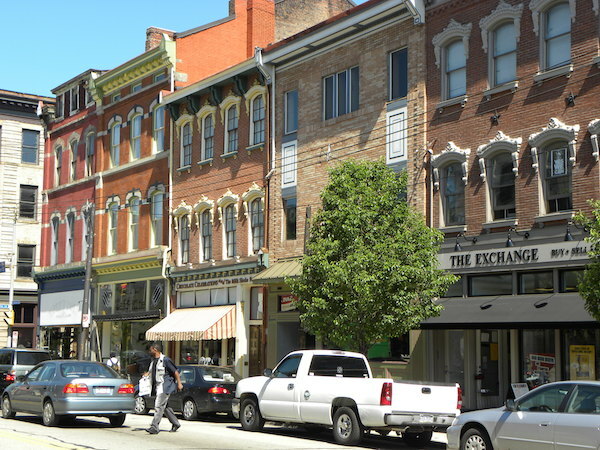 Pittsburgh History & Landmarks Foundation has worked in neighborhoods and towns to preserve historic commercial buildings, retain businesses and recruit new ones, and assist in making our region’s central business districts great places to live, work, and play for more than 40 years. This work started in the 1960s with a comprehensive plan to revitalize the business district along East Carson Street on Pittsburgh’s South Side. Since then, we have worked in revitalizing both urban and rural Main Street corridors in Allegheny, Armstrong, Butler, and Westmoreland counties. From 2009 to 2013, PHLF managed Allegheny County’s Main Street program known as Allegheny Together. Contact our office at 412-471-5808 for more information and guidance about these services.